Are You Interested In Quebec Immigration? Get Latest News Updates! Quebec is a French dominated and economically influential province of Canada. It has robust economy which is knowledge based along with rich natural resources. When people think of Canada Immigration, they think of settling in Quebec. Hence, today the province has become a very popular immigration destination. The province is self sufficient, and offers everything to its immigrants that they require to live a happy life. For the prospective immigrants, it is the first choice. 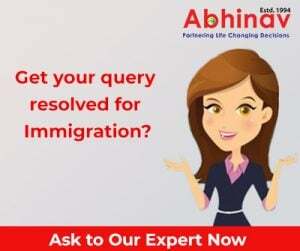 If Quebec immigration is what you are thinking about, then you must get the latest news updates on the matter. Like rest of the country, Quebec too requires a large number of immigrants to keep its economy on its toes. At present, the province is facing many problems. Among all, the lack of skilled workers and ageing population are prominent. Its annual birth rate has also gone down. Since 1922, the province has shared special understanding with the Federal Government and allows immigrants to enter its shores on the basis of its specific economic needs. As per some reports, annually approximately 50,000 immigrants, under the various categories, enter the province lawfully. For the period 2016 to 2031, the province government aims to fully counter the population issue. Today, potential immigrants are required to maintain its economy under its own immigration programmes. The province welcomes a good number of skilled workers, investors, and entrepreneurs. Quebec has announced to smoothly maintain its workforce and further expand its economic sectors. Approximately, 60, 0000 immigrants are required. Lately, the Quebec immigration minister has announced that the region is keen to meet the demand of skilled professionals and those who are proficient in French will be given priority. Other than skills and language, the province gives weightage to adaptability factors. To facilitate immigrants, the Quebec Government has announced various programmes. Further the ‘Mon Project’, an online application system, was introduced to under the Quebec Skilled Worker Programme (QSWP) for the February intake which was later shifted to June. Those–who wish to immigrate to the province but till date have not created an account using the online tool Man Project Quebec–may now create their account for the coming intake period. The dates will be announced shortly. At this stage, the Ministère de l’Immigration, de la Diversité et de l’Inclusion, the official department overseeing the province immigration process, has not announced any limitation on the number of people who can create their online profile. Soon the Quebec Government aims to introduce an online system similar to Express Entry in order to recruit qualified skilled workers. In the global market, the province aims to remain competitive and wish to attract best talent to join its thriving workforce. It is expected that by the end of 2016, Quebec immigration will reach new heights. The Quebec immigration minister has given signs to revamp the complete immigration system and it will become much simpler and transparent. In due course of time, many immigrants will enter the province using the online application and those who miss the chance may wait for further announcements.